Political correctness is killing us. The terrorist in yesterday's truck attack came to the United States by winning the "diversity visa" lottery. He didn't have any special education or skill-set to make America better. He got into the US because he is diverse. We literally cannot afford to be governed by political correctness anymore. We cannot afford to let people into the country if we have no idea who they are. And we certainly cannot allow liberal activist judges to force their open border agenda on the American people. The Security Against Foreign Enemies Act would put a stop to unvetted immigration. It would require THREE background checks be performed and certified by different government agencies before someone is allowed into the country. It would give the Trump administration everything they need to keep the country safe. Send your instant FaxBlast to Congress using the system below and pressure them to pass the Security Against Foreign Enemies Act immediately! 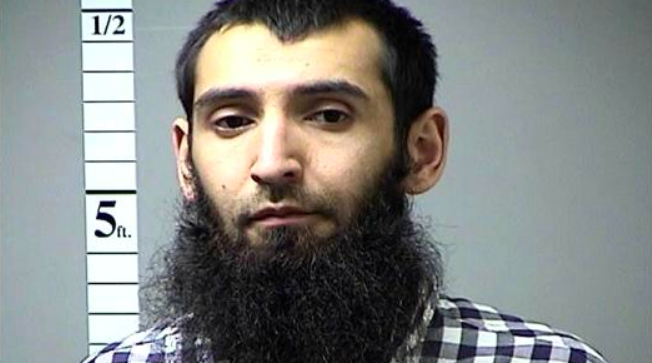 Yesterday, Sayfullo Habibullaevic Saipov, a 29-year-old from Uzbekistan, drove a rented truck through a Manhattan bicycle lane, killing eight and injuring at least 11. He wrote a note expressing his support for ISIS and screamed "Allahu Akbar" (Allah is the greatest) after killing these innocent people. Saipov entered the United States through what is called a "diversity visa." These types of visas admit people into the United States for no reason other than the fact that they have a diverse background. He was not fully vetted. The fact is that most refugees and immigrants do not go through stringent vetting before entering the United States. Two years ago, the House of Representatives passed the Security Against Foreign Enemies Act with a veto-proof super majority. This legislation would require certified background checks before immigrants are allowed into the United States. However, when the legislation reached the Senate, Harry Reid and Chuck Schumer filibustered it. Obama had promised to veto the bill and Senate Democrats wanted to protect him from the embarrassment. The only reason we still have unvetted immigration is because Democrats played politics with American security. Enough is enough. Representative Brat has reintroduced this bill and is pushing for a vote. You MUST quickly pass the Security Against Foreign Enemies Act and send it to President Trump's desk for signature. We cannot change yesterday's tragedy, but we can ensure that future immigrants are subjected to strict vetting!